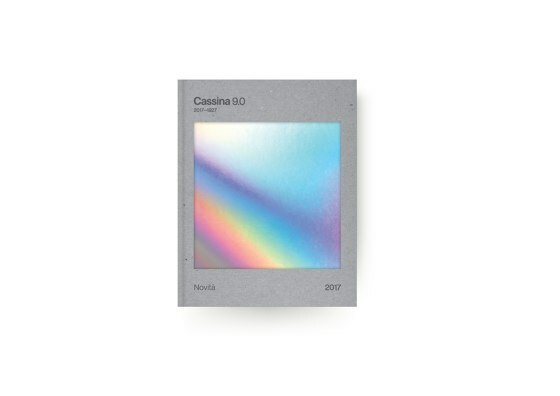 Cassina has been designing the future of interiors for 90 years. Founded by Cesare and Umberto Cassina in Meda in 1927, the company launched industrial design in Italy during the 50’s by taking a completely new approach which saw a shift from handcraftsmanship to serial production. The company was pioneering in the way that it showed a striking inclination for research and innovation, combining technological skill with traditional craftsmanship. 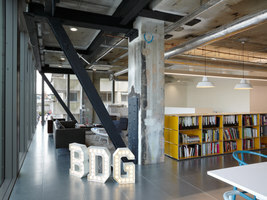 For the first time important architects and designers were involved and encouraged to envision new designs to be transformed into projects, a characteristic that still distinguishes the company. Today Cassina continues to represent new ways of living, creating harmonious settings that bring together the best of contemporary design. 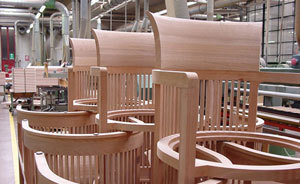 Cassina is particularly specialised in carpentry workmanship and the manufacturing of upholstered armchairs and sofas. All products are in fact now branded with the MedaMade logo, a guarantee of the quality and uniqueness of locally produced products. 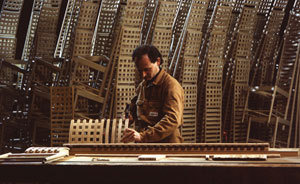 The brand has received four Compasso d’Oro prizes, for individual products, including the Maralunga sofa by Vico Magistretti in 1979, and in 1991 in recognition of the company’s “innovative role and forerunning international approach within the Italian cultural and manufacturing sector”. In 1964 the Cassina I Maestri Collection began with the acquisition of the exclusive worldwide rights to serially produce four models designed by Le Corbusier (who was alive at the time), Pierre Jeanneret and Charlotte Perriand. Over the following years this collection has brought together some of the most iconic furniture by the greatest 20th Century architects of modern classics (Gerrit T. Rietveld, Charles R. Mackintosh, E. Gunnar Asplund, Frank Lloyd Wright, Charlotte Perriand, Franco Albini, Marco Zanuso) with the aim of disseminating their cultural values. These re-editions are authentic and attentive reconstructions studied to respect the original models, working in close collaboration with the authors’ heirs and official foundations. 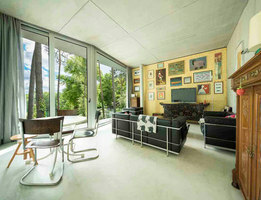 Many renowned Italian and international designers and architects have collaborated and continue to collaborate for the Cassina I Contemporanei Collection including: Vico Magistretti, Gio Ponti, Mario Bellini, Rodolfo Dordoni, Konstantin Grcic, Jaime Hayon, Piero Lissoni Gaetano Pesce and Philippe Starck. Their continuous interpretation and innovation of contemporary living has resulted in a range of visions that have marked the evolution of Italian design. In 2015 the Spanish architect and designer Patricia Urquiola was nominated Art Director of Cassina. In 2013 Cassina SimonCollezione was presented following the acquisition of Simon, the historical Italian brand founded by Dino Gavina and Maria Simoncini in the 1968. This collection of emblematic design, characterised by an experimental approach, tells the story of the relationship between culture and industrial production, and brings together names such as Carlo Scarpa, Marcel Breuer and Kazuhide Takahama. 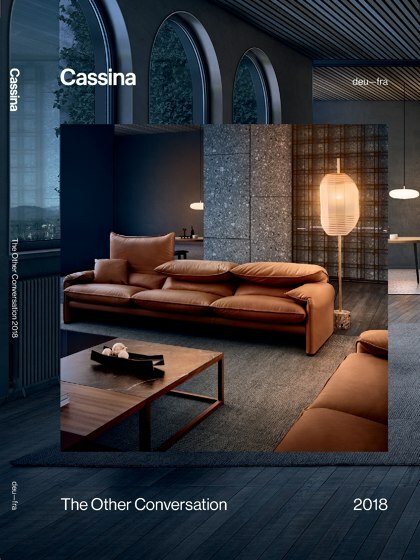 Cassina has a strong retail network with its own DOS (Directly Owned Stores) in Meda (HQ), Milan (2), London, Madrid, New York (2) Paris (2) and Shanghai, and important collaborations with local partners and dealers throughout the world. Italian design and Cassina together make up a consolidated (and in certain respects taken for granted) two-hander springing from entrepreneurial capacity and intuition honed in the difficult but stimulating period of the post World War second period. 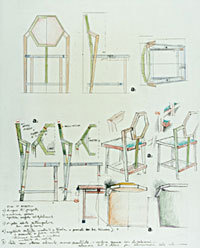 Toward the end of the Forties, Cassina opened up to collaboration with designers operating outside the firm: separation from in-house design marked the progressive passage from artisan to industrial proportions, and start of the research into shape and form and experimentation with different materials which were to turn out to be very fruitful. The transformation was helped along by numerous commissions for ship fittings-out; armchairs produced for these had to have certain constructive characteristics, like structural bulk, the splay of the legs and rigid upholstery necessary for the use to which the furniture had to be put. Gio Ponti's collaboration was particularly fruitful, both for shape and line and from the technical point of view. 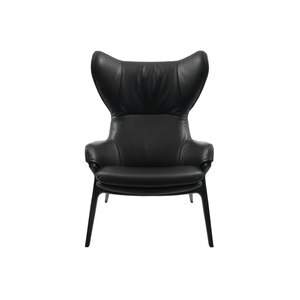 His Superleggera chair (1957) would not have been possible without the skill and capacity of experimentation and workmanship of Cassina and its craftsmen. By means of progressive lightening of the structure (a triangular section of just 18 millimeters at the side) and modification of the shape of the struts, a particularly strong chair weighing only 1,66 kilos was achieved. Produced and sold for almost fifty years, the Superleggera is a symbol of the dialectical force between the poetics of the designer and the persistence and technological know-how of the Cassina craftsmen. In the sixties, Cassina took up plastics, and injection or pre-impregnated or expanded materials, which freed furniture from the limits of former paradigms of shape. The Ciprea armchair (1968), for instance, designed by Afra and Tobia Scarpa, is not upholstered but is formed of a single volume comprising a block of injected expanded polyurethane, with a dacron quilting incorporated in the interchangeable cover. In the second half of the sixties, radical design mae its appearance in Cassina with the BracciodiFerro collection, a workshop of ideas in furniture design, which gave substance to new instances and provocation from such designers as Alessandro Mendini and Gaetano Pesce. In the same cultural climate of dissent and second thoughts the AEO (1973) armchair was conceived, designed by Paolo Deganello - Archizoom, in collaboration with the Cassina Centre of Research and Development. This was the expression of an ideology quite free of conventions. The item can be dismantled, is washable, and compatible with whatever furnishing scheme in that it is totally free of any preceding linguistic references. 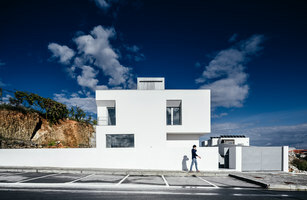 AEO provides unquestionable advantages to the user - lightness and convenience - a combination of characteristics strictly connected to the choice of materials and their experimental and unprejudiced use. 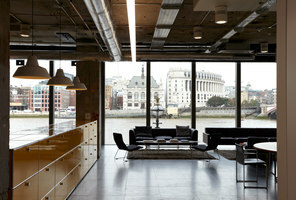 A grey injected Durethan base, a stove-enamelled steel framework which wears, like a shirt, the cotton fabric cover forming back and arms, an expanded polyurethane upholstered cushion and polyester padding as a seat. The introduction of new production technology was the occasion for the abandonment of traditional shapes and forms. 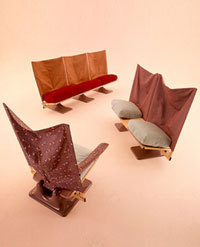 In model 932 (1965), designed by Mario Bellini, the upholstery itself becomes the armchair; the rigid bearing framework having been done away with, the upholstery is reduced to a set of two/three/four cushions, independently finished, assembled and held together by a kind of belt. 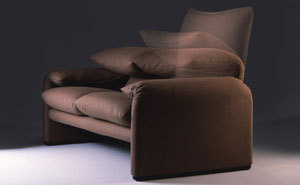 The Le Mura (1972) sofa and bed, also by Mario Bellini, derive from research carried out by the Cassina Research Centre into the technique of cold moulded plastic foam, which followed experiments in differentiated cold foaming to meet different needs of softness and structural strength. On the other hand, the Break chair (1976), again by Mario Bellini, is made of panels with a framework of flexible steel done in high-density polyurethane foam and assembled by means of special hooks at the base and with a full-length zip running along the sides of the panels. 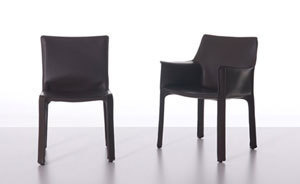 Mario Bellini's CAB chair (1977) represents a milestone in Italian design. It has a skeleton of tubular steel and a covering of stitched leather, fastened to the framework with four zips; an integral covering stretched just like a skin over a metal framework, in a relationship of structural and organic harmony. It's a technical and formal innovation, a chair still in production and quite uselessly imitated. Innovation is sometimes defined in a movement. This happens in the case of Vico Magistretti's Maralunga (1973) (the version where a simple movement transforms the back into a headrest) and in Wink (1980) by Toshiyuki Kita, to be used as armchair or chaise longue simply by moving the base unit forward. 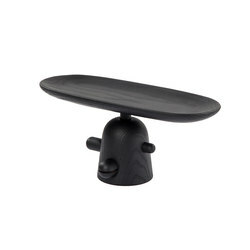 Wink has an adjustable back, too, and a headrest divided into two parts, each one individually adjustable. With Gaetano Pesce, Cassina tried out the idea of the "indiviual unit in mass production". 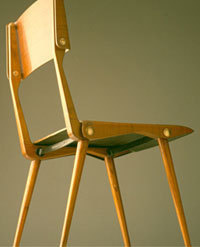 The details of the shape of the Sit Down (1975) chairs change, in fact, from one example to another, while still maintaining the same aspect of the whole. Polyurethane foam gets used in a simpler way to make various pieces of a series, similar but not identical. Upholstered items are done in a single block of expanded polyurethane injected in a mould in which polyester padding is spread and the bearing steel framework reinforced with straps is placed. The injected polyurethane fills the mould freely and spontaneously, forming an outline wherever it meets up with spaces in the back unit or the seat, thereby producing a different shape each time. 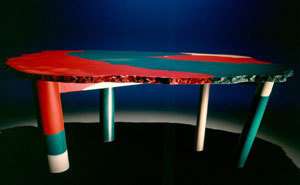 In his Sansone table (1980), Pesce works with cast moulded polyester resin. The three versions available - almost rectangular, almost square and almost round - come in a combination of white/red/green, each piece different. 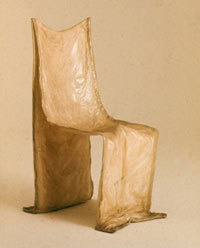 Research into new materials and new technology leads on to I Feltri (1987) in which Pesce uses thick, heavy felt stiffened with thermosetting resin to obtain highly original and individual armchairs. 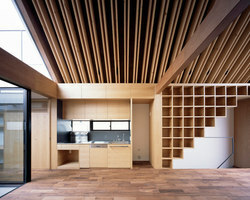 The interiors are covered with quilting, removable and held in place by press-fasteners. 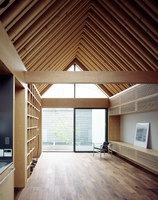 The seat is linked to the framework by cotton straps which also edge the soft upper part of the seat. 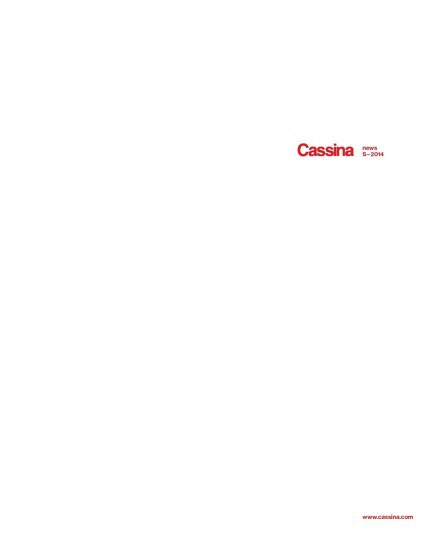 In 1990 Cassina's design strategy veered to the definition of the concept of the product able to correspond with new styles of life and living, and collaboration with certain designers allowed the firm to redefine certain types of furniture and develop others not yet in production. "Every manufacturer dreams of discovering a product capable of lasting from ten to twenty years! ... An innovative model satisfying the latent needs of his potential clientele is everyone's dream, but it is still more complex to reach in a fairly simple technological sector, like furniture. Technological innovation, in fact, is not sufficient to allow of the renewal of existing products...." Solutions have to be found that are "real paths of development through research and experimentation in new ways of living." These lines, taken from an interview granted in the autumn 2003, synthesise the work carried out by the firm in the past ten years. Faithful to its own history, Cassina continues to build up a collection open to more contributions and different design languages, giving space to research into products that are not merely new but also innovative in their use. 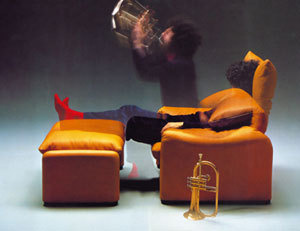 For example, it is to Philippe Starck that we owe L.W.S (Lazy Working Sofa) and S.W. B. (Sleepy Working Bed), two systems that suggest different ways of using the sofa and the bed, and M.I.S.S. 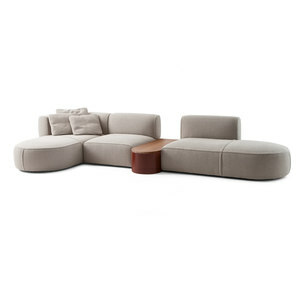 (Music Image Sofa System), a system built around the idea of bringing about fusion between domestic technologies and furnishing, a concept presented on the occasion of the Milan Furniture Fair of 2002 and reaching its definitive formulation in 2004. A crucial and delicate point for the satisfactory outcome of the industrial process is the choice of designers with whom to entrust the creation of new products. As is explained by the Research and Development Centre: "The choice of these figures is simple and complex at the same time. 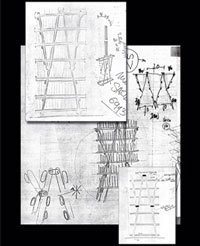 After a trial hinging on a particular project, Cassina always seeks to prolong the collaboration. In effect, our scope over the time is to develop a kind of reciprocal trust with all our associates, based on credibility, shared experience and methods of working. This reciprocal trust explains, no doubt, the small percentage (under 20%) of projects that are not eventually produced. 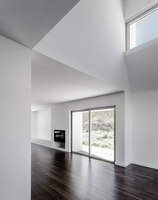 The duration of their development depends upon the complexity of the project. Cassina works on different projects in the course of a year, five or six of which are presented to the public and then inserted in the permanent collection. 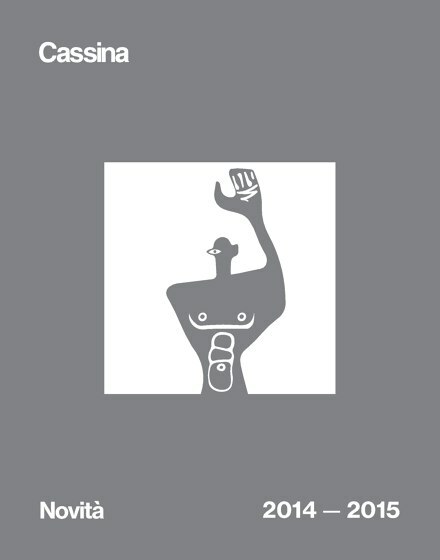 Cassina is not just a manufacturer, but an industry created to produce what it presents!" The Research and Development Centre is the real link between Cassina and its designers, between the concept and the final product. Over the past decade, such designers as Philippe Starck, Piero Lissoni, Hannes Wettstein, Jorge Pensi, Jehs+Laub, Patrick Jouin and Jean Marie Massaud and many others have entered to form part of the Cassina collection. The quality of a product speaks for itself, but it doesn't come of its own accord. Cassina works as an industrial entity, but it hasn't gone back on its own craftsman origins. The carpentry department, the traditional heart of the firm, is still the hub around which the wheel of executive excellence, which has made Cassina famous worldwide, turns. Organised in work units, the craftsmen work the wood with the aid of modern machinery, often having to produce joints that are almost microscopic, making assembly of parts so precise that hardly any glue is called for. For this to happen, the material has to be of excellent quality. The different woods are selected carefully at source and then in the factory according to the use to which they are to be put, and are employed with genuine mastery to make the most of their characteristics but also their eventual faults. The reliability of the raw materials - specially wood, but also leather and fabrics - involves a high economic outlay which the firm regards as an investment in the quality of the finished product and a guarantee of its exclusiveness. The manufacturing process is entirely monitored; a bar code accompanies each product in all the phases of manufacture, from the preparation of the components to the final packaging. At any moment, the customer can be informed of the state of his order and reassured as to its punctual delivery. An internal workshop sees to testing products to ensure that they conform to UNI regulations. The organisation of the manufacturing processes and their conditions makes Cassina a real industrial concern, but its products, even if the output of a fully industrial logic, maintain the authenticity of a hand-made article, respectful of both man and nature. All the models in the "Cassina I Contemporanei" (Cassina contemporaries) collection are protected by patent for the industrial model which is registered by Cassina for each item at the moment of its presentation on the market. This provides patent-rights for 25 years from the registration of the model in question. All the models in the "Cassina I Maestri" (Cassina Masters) collection, by merit of their artistic content and particular creative character, are protected by copyright, a legal institution that is universally recognised and safeguarded; legal protection is assured for the whole life-span of the author and for 70 years after his/her death (or the death of the last surviving co-author). The "Amedeo Cassina" firm first saw the light of day officially at Meda (Milano) in 1927, on the initiative of the brothers Cesare and Umberto Cassina. The name was modified in 1935 to "Figli di Amedeo Cassina". At the outset practically the entire outputs was made up of small pieces of wooden furniture - small work-tables and living-room tables - being later extended to include armchairs and drawing-room furniture. The first Cassina furniture was eclectic in inspiration, but the melange of styles soon gave way to the generic middle-of-the-road 20th century style. These were years of great crisis and it was thanks to this amplification of activity that the young firm was able to keep its head above water and not succumb to the difficulties that beset the sector and the economy of the entire state. The furniture that Cassina produced was for the most part fitted; it was often made for specific destinations and sometimes resulted in small serial production runs. The fifities. 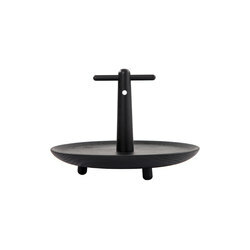 Bruchure for hotel and naval furnishings. After the war, Cassina continued to expand in size, fame and above all in excellence, thanks to the acknowledged quality of the products, which by this time covered the whole furniture range; chairs, armchairs, tables, smaller chairs, sofas and beds. 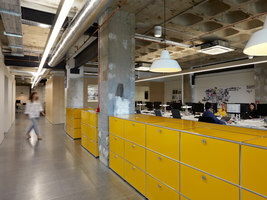 Years followed on rich in experience and result, marked by the beginning of the firm's collaboration with external designers, bringing with them a wide range of research values. 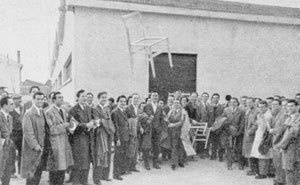 The first was the architect Franco Albini whose little mod.430 armchairs (1948), rigorous and essential in their lines of construction, went against current trends and showed an attention and commitment towards a compositional research aimed more at innovation. The conviction was rooted that numbers and organisation were not in themselves sufficient, and that it is quality that represents the best guarantee of a product's success and long life. 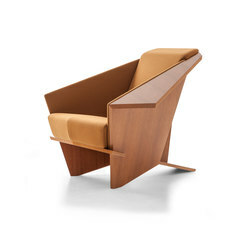 Italian design was in the process of being born, and Cassina was among the architects of the phenomenon. Separation of the procedures of design and production was for the firm the sign of passage from its initial crafts vocation to the industrial. Cassina was for research and experiment, but primed with the crafts tradition of which it is a master. 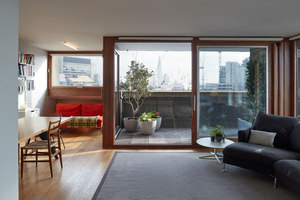 The transformation was nourished by a large number of commissions for ship fittings-out, which - together with furniture for hotels and restaurants and other places created for the accommodation of guests - accounted for the greater part of the firm's activity right up to the mid-sixties and beyond. One of the first ships that Cassina had a hand in fitting out was the Anna C. (1947), the first passenger ship of the Costa line (and the commission went on for the furniture and fittings of successive ships of the Costa line). In those years, Italy was busy reconstructing its own transatlantic fleet. Gio Ponti and Nino Zoncada, both mindful of the lessons of Gustavo Pulitzer, were among the more active designers engaged in creating the furnishings of these new ships. 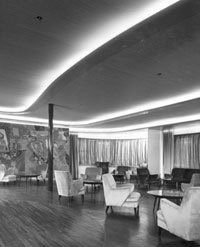 For the ill-fated turbo-craft Andrea Doria (1952), built at Genova Sestri in the Ansaldo shipyard, Zoncada and Ponti designed the furniture of the saloon, the ball-room, the great bar and the winter garden of the first class, furniture that was supplied by Cassina. There followed furnishings for the Michelangelo (1065), Cristoforo Colombo and Gripsholm. The armchairs made for these schemes were particular in their constructional details, such as the bulk of their structure, the splay of the legs and the rigid upholstery in strict keeping with their use and to the stresses that they had to withstand. 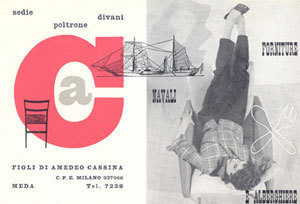 Cassina's activity in the sector of complete furnishing schemes and interiors for public premises, events or special exhibitions took on a particular relevance from the beginning of the fifties. This was an important sector and a crucial one for the company's growth. This growth regarded the level of average production, also from the quantitative aspect. 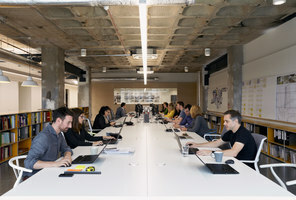 The sheer extent of work done led the firm to undertake an internal reorganisation, to allow articles to be mass-produced in less time but with the same high-quality result. 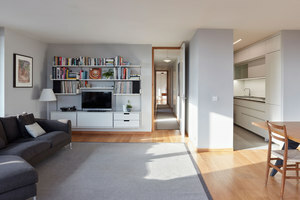 Amongst the more noteworthy furnishing schemes in this category are the San Remo Casinò, the Saint Vincent Casinò, the different branches of the Motta Bar in Milan, the Savini restaurant in Milan, the Hotel Europa Palace in Anacapri, the Hotel Royal in Naples, and the Hotel Diana in Milan. 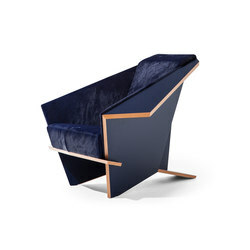 Cassina's activity in the fifties is firmly bound up with the creative genius of Gio Ponti. In the furnishing schemes that he produced during these years there seem to be two opposite trends; on the one hand there is the classicism evident in the decorated furniture designed in collaboration with Piero Fornasetti, and on the other a growing tendency towards modernism. towards "slim-lined, light" objects. 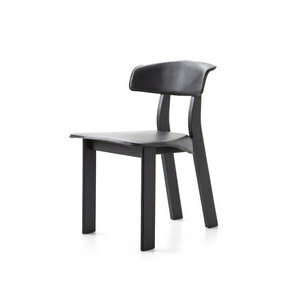 The slender, taut line of the side of the Distex chair (mod. 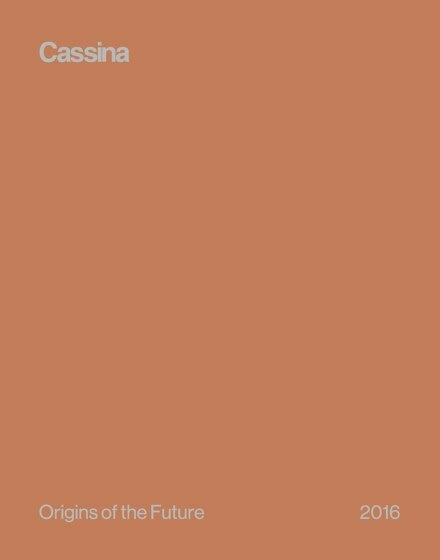 807, 1953) reflects quite clearly the evolution of Ponti's design poetics. Made with the arms full of acute geometrical angles, and with wooden feet, another version had legs/arms in metal. In this latter version it was used by Ponti in his furnishing for the "Uni-environmental Living Space" for the 10th Triennale in Milan. 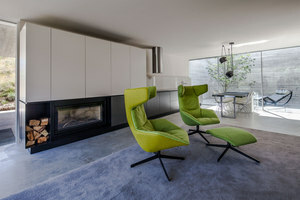 The Distex chair is exemplary and symptomatic of the production of upholstered furniture at this time in its use of foam rubber and elastic webbing, which by now have taken the place of the traditional sprung upholstery, and new materials like vinyl simulated leather, vipla and flexa for the covering. 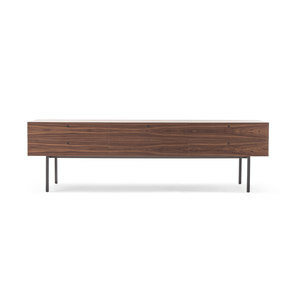 Gio Ponti's mod. 646 chair, called the Leggera, represents the intermediary moment of that design process on the theme of a modern mass-produced chair which led eventually to the mod. 699, the Superleggera, one of the archetypes of Italian design. Produced and sold for getting on for fifty years, the Superleggera is a symbol of the force of the dialectics between the poetics of the designer and the technological know-how and tenacity of the Cassina craftsmen. Done in natural or lacquered ash, it's made nowadays exclusively with the seat in rattan just like its forbears from Chiavari. The Compasso d'Oro, the prize that ratified the official birth of Italian design and destined to single out its best results over the years, was awarded for the first time in 1954. Amongst the winners on this first occasion was the mod. 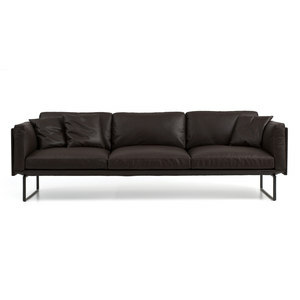 683 designed by Carlo De Carli for Cassina. In solid ash wood, redolent of organic references, it has slender tapering legs and an L-shaped feature to support the seat and the back. These last two, in slender curved ash plywood, seem to wrap around the structural unit, to which they are joined by little wooden spacers. The mod. 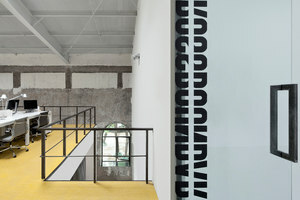 683 was awarded the Diploma of Honour at the 10th Milan Triennale, and MoMA's Good Design prize in New York. Another important and fruitful collaboration for Cassina is that with Ico Parisi, one of the leaders of Italian design in the fifties. 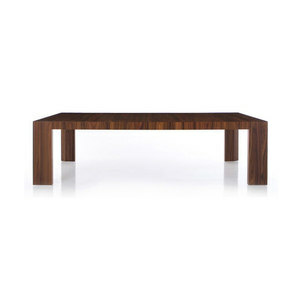 His furniture is one of the most interesting interpretations of modern design of the period. This is borne out by Parisi's unremitting participation in exhibitions and fittings-out, particularly at the Milan Triennale. The mod. 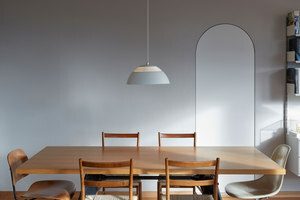 691 chair (1956) sums up the typical lines of the period, with its lightness and X-shaped support structure, modelled on certain organic bone forms, with pointed and tapering tips. Mod. 101, Mod. 102, Mod. 104 chairs by Gianfranco Frattini. Mod. 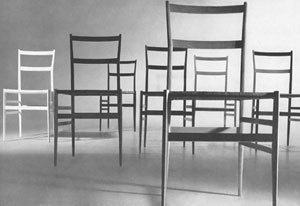 111 chairs by G.P.A. Monti and Mod. 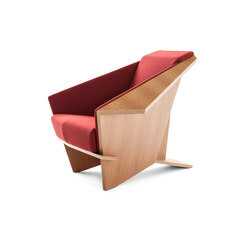 110 chair by Ico Parisi. 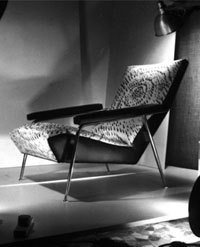 Cassina's collaboration with Gianfranco Frattini started in 1954. 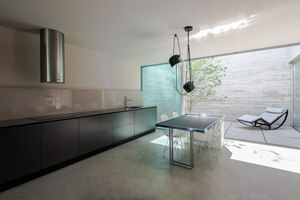 Frattini designed various models (among which, the armchairs mod.831 and mod. 849 and the chairs mod. 101, mod. 102, mod. 104, mod. 105 and mod. 107) which show the most sensitive and advanced taste of the period, so pieces signed by him go to make up 60% of Cassina production at the beginning of the sixties. The mod. 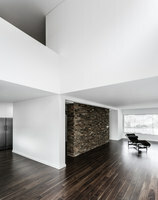 849 armchair features an evident distancing between the two sections, a clear separation between the wooden trestle of the structure and the back and seat/arm shell; the simple sturdy geometry of the bearing framework contrasts with the flexible curves of the upholstery, which seems to be almost suspended in the air. In the fifties new and old production systems existed side by side. On the one hand there were still anonymous models, repetitious mutations of one example acting as prototype, while on the other there was more and more collaboration and co-operation with the designer, witness of the desire to upgrade industrial production and to achieve really new products. The Italian culture of design responded to the intuition of those manufacturers - Cassina among them - who saw an opportunity in the transformation of life-styles in front of the thrust of the processes of the modernisation and industrialisation of the country. They banked on the fact that modern furniture would open up the market to the up-dating of the Italian home. Once the traditional models were rejected, buying a piece of modern furniture would become for the new consumer a symbol of belonging to a new climate of behaviour. The sixties were decisive years for Italian design and its diffusion in the world. With the advent of plastics and injection produced or pre-impregnated or expanded materials, furniture was no longer bound to conform to traditional shapes and forms. The Ciprea armchair (1968), for example, designed by Afra and Tobia Scarpa, moves away from the classic upholstered item both in its design and in the concept of its structure. Indeed, it is not an upholstered armchair at all but a single block of expanded injected polyurethane, with dacron quilting incorporated in the inter-changeable covering. Tobia Scarpa and his wife Afra began to work with Cassina in 1963, and are responsible also for a series of solid wood articles, echo of a never-forgotten crafts tradition and reworked in a personal repertoire of shapes. 1964, with the acquisition of reproduction rights of four items designed by Le Corbusier (who was still alive at this date) together with Pierre Jeanneret and Charlotte Perriand - viz. the small LC1 armchair, the LC2 and LC3 armchairs and the LC4 chaise longue - saw the beginning of the collection called "Cassina I Maestri" (Cassina Masters), which went on in the following years to gather together furniture by the most important names of 20th century design. Models by Le Corbusier, Pierre Jeanneret, Charlotte Perriand. Drawings for the reconstruction. The principal objective was, and still is, the diffusion of universally accredited cultural values through the re-proposal - today - of "reconstructed" furniture. 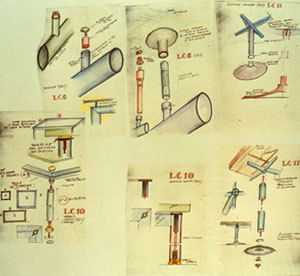 This process of reconstruction, made possible by the direct involvement of the designers' respective heirs, is founded on a work of accurate analysis and painstaking reinterpretation of the prototypes and/or original drawings. The research and the reconstruction project take place with the help of Professor Filippo Alison, director of the degree course in furnishings and product design at the University of Naples Federico II and curator of the collection "Cassina I Maestri". Midway 1 by Frank Lloyd Wright. Drawings for the reconstruction. The "Cassina I Maestri" collection widened with the acquisition from Bauhaus-Archiv in Berlin of reproduction rights of some of the Bauhaus objects (fabrics and chessmen) in 1968, of Gerrit T.Rietveld in 1971 (licensing agreement stipulated with the daughter Elisabeth Eskes-Rietveld) and of Charles R. Mackintosh in 1972 (licensing agreement undersigned with the Glasgow School of Art and the University of Glasgow). The Masters collection continues with the re-issue in 1983 of furniture by E. Gunnar Asplund (among the others the Göteborg armchair, designed in 1934-37), with the acquisition from the Frank Lloyd Wright Foundation of rights of reproduction (1986) of furniture by Frank Lloyd Wright, including the Barrel chair designed in 1937, and, finally, in 2004 furniture by Charlotte Perriand (exclusive licensing agreement undersigned with her daughter, Pernette Perriand Barsac). From the second half of the sixties onward, Italian design, notably influenced by the trends of the international neo-avantgarde (from New Dada to Pop Art) gave rise to projects acidly critical of mass-production and closer to the art multiple. The "dissenting" design entered Cassina through the BracciodiFerro collection (a workshop of ideas of furniture design), a bearer of new instances and provocations reaching radical designers such as Alessandro Mendini and Gaetano Pesce. Their articles for BracciodiFerro are a scenic interpretation of furnishing taken to the point of a negation of any kind of function; no longer furniture but representations of themselves and the rites linked to their use. Amongst the models produced in numbered examples are the Golgotha chairs (1972) by Gaetano Pesce - made in fibreglass-reinforced plastic starting off from a white wadded fibre-glass unit containing dacron Fiberfill, saturated manually with hardening polyester resin - and the Terra chair (1972) by Alessandro Mendini, a "proto-shape" made of plexiglass and earth. In the same cultural climate of dissent and second thoughts came the AEO armchair (1973) designed by Paolo Deganello - Archizoom - in collaboration with the Cassina Centre. The product is the expression of an ideology free of conventions, seeking out an article "new in the field of the sittable infinite." Structural and linguistic analyses of existing seats led Archizoom to the demystification of the myth of the modern armchair, which had become a "mass of soft material, symbol of opulence and well-being", to the "rediscovery" of the elements that make up the structure of the chair itself. The AEO armchair certainly has great advantages of use in that it can be taken apart, washed, go with whatever kind of furniture (as it is an object devoid of any kind of preceding linguistic reference), it is light and comfortable. It is also unprejudiced and experimental in its use. The nature of the object is poly-material. 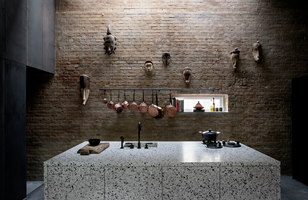 A grey base of injected Durethane, a stove-enamelled steel framework upon which is fitted - like a shirt - the cotton covering forming back and arms. 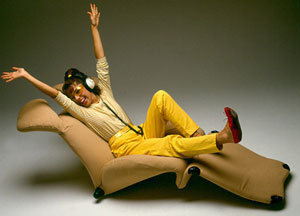 There is a cushion padded in expanded polyurethane and polyester padding as a seat. The introduction of new technology is a fundamental occasion for the abandonment of traditional models of upholstered furniture. With mod. 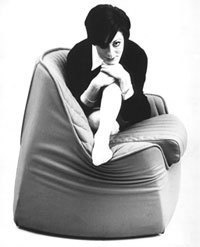 932 (1965) designed by Mario Bellini the upholstery itself becomes the armchair. It is a set of two/three/four cushions, independently finished, assembled and held together by a kind of belt. The sofa and bed Le Mura (1972) are the fruit of research on foaming carried out at the Cassina Research Centre and on upholstery by Bellini. Both sofa and bed are done by the technique of cold moulded plastic foam. There followed experiments in differentiated cold foaming to meet different needs of softness and structural strength. The exhibition "Italy: the New Domestic Landscape" put on at the MoMA of New York in 1972, curated by Emilio Ambasz and sponsored by Cassina, Cassina Centre, C&B Italia, Citroën and Pirelli Industries represented the culmination and at the same time the crisis of Italian design, by this time running off towards its utopia. Mario Bellini, one of the designers invited, presented his Kar-a-Sutra, an automobile prototype made by the Cassina Research Centre, a body set up in 1969 for experimentation and formulation of design concepts. Kar-a-Sutra represented identification between car and house, in strict relationship with forecast visions of nomadic life-styles. It has an area of some eight cubic metres, and is seen as capable of carrying out an infinity of actions. 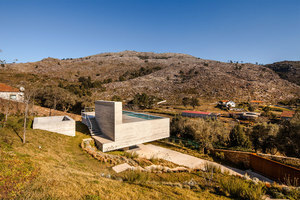 It is accessible from every side, and is made to be lived in, by one person or a group. The inside of the car is entirely covered in upholstery cushions, which take on and retain the various contours caused by the various bodies leaning against or sitting on them, giving life to a plastic field available for any new configuration of use. "Design is dead; the funeral was held at the Museum of Modern Art (with the 'Italy: the New Domestic Landscape' exhibition): some chairs have already been thrown on the pyre; 'style design' has passed from the columns in women's magazines to the signs of shops selling modern kitchen furniture…" proclaimed Mario Bellini after having been one of the protagonists of the exhibition. His reaction to this was to design and make ready Il Libro dell'Arredamento (The Book of Furniture), a sort of new general reader of furnishing, an abacus done for Cassina, in which he takes one by one the primary functions of furniture, redesigning the various "types" without getting too far from traditional shapes and forms but suggesting a lot of variations referable to "characteristics of use" (functions) and "semantic characteristics" (materials and finishes). 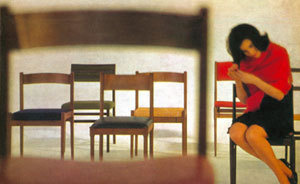 The little Break armchair (1976) is one of the possible seats in this ideal abacus. 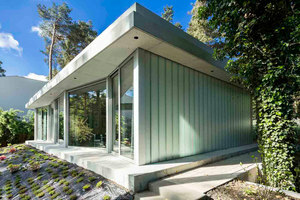 It has a framework of flexible steel with panels of high-density polyurethane foam and assembled by means of special hooks at the base with a full-length zip running along the sides of the panels. 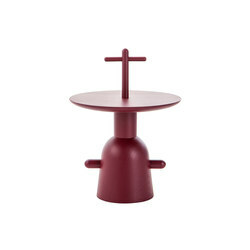 The series of tables (1976), La Loggia, La Basilica, La Rotonda, La Corte and Il Colonnato refer to the shapes of the "primary structures" in the history of architecture, from which derives a complete system of solutions suited to every need. From the same reflection on semantic values comes another milestone of Italian design: the CAB chair (1977) head of a family of chairs - a carver with arms, a small armchair and a little sofa. In its privileged relationship with the human body, the chair is according to Bellini one of the pieces of furniture most deeply rooted in the collective memory. CAB is conceived almost as an extension of the body itself. It has a skeleton of tubular steel and a covering of stitched leather, fastened to the framework with four zips. An integral covering is stretched just like a skin over a metal framework in a relationship of structural and organic harmony. Vico Magistretti came to Cassina at the beginning of the sixties, the ten-year period in Italian design richest in events, initiatives and transformations, in which the designer plays the lead but supported by certain entrepreneurs in love with their job. Magistretti loves to remember, even today, his meetings with Cesare Cassina and how they worked together on new projects, discussing a sketch here, defining a detail there. The Carimate chair (mod. 115) was the first of many successes bearing their signature. It was designed for a specific setting - the Clubhouse of the Carimate golf club - and it became head of a family of furniture that includes also the small armchair Mod. 892 (1963). In Magistretti's work modernity is the echo of tradition and collected memories, but also the study and in-depth investigation of ways of living, such as modular units, flexibility and stackability, as in the case of the mod. 913 beds (1964) which stack one above the other. Alongside the experimental suggestions of the radical designers (Mendini, Pesce, Archizoom), in the seventies and eighties Cassina made some of Magistretti's masterpieces: the Maralunga sofa (1973), the Nuvola Rossa bookcase (1977) and the Sindbad armchair (1981). Following a traditional matrix form, the Maralunga sofa is a piece of great impact which hides its innovation (the alternative of transforming the back from high to low at a single touch) in its reassuring lines. It was a great international success and the object of many imitations. In the leanest of lines (eliminating the side panels the structure pares down to just the cross-bracing) but a most elegant shape and perfectly functional. The Sindbad model, a kind of blanket/upholstery, was inspired by the idea of a rug thrown carelessly over a sofa together with the image of a horse blanket (on its horse) that Magistretti had seen in England. The innovation is concentrated in the complete removability and changeability of the covering, which is attached to the upholstered structure - in expended polyurethane and polyester wadding on a steel framework - by means of two clasps on the inner edges of the seat. Pressure strips and two clips towards the edges of the back hold it in place. "An armchair that adapts itself to the shape of the person" is how the Japanese designer Toshiyuki Kita defines his Wink armchair (1980), born from a complex interweave of eastern and western styles. 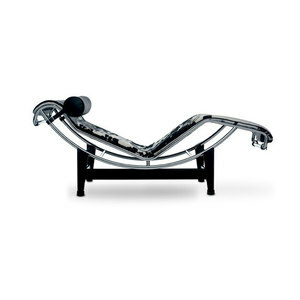 It can be treated as an armchair or as a chaise longue by folding the base down forwards. 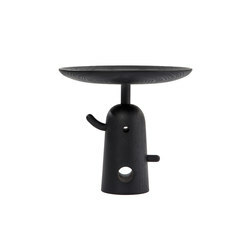 The angle of the back is also adjustable and has a headrest subdivided in two parts, each one independently adjustable. 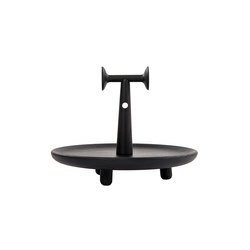 This piece is so highly adaptable in all its forms, and is quite informal allowing the user the utmost liberty of movement. The upholstered furniture that Gaetano Pesce designed for Cassina in the seventies and eighties are to be taken as a paradigm of his thoughts on the auto- determination of taste. The objective of obdurate planning during the 20th century - he claims - has led to a devious repression of the consumer; in face of such homologation our life has lost its spontaneity. Pesce is convinced that being alive means being different. Things, too, must be able to enjoy this prerogative. 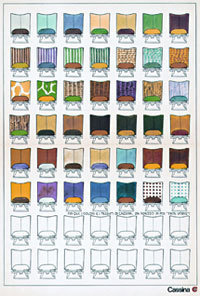 The details of the shape of his Sit Down chairs (1975) change from one example to the next while maintaining the same general lines of the whole series. In the production of the series, the polyurethane foam is used in a simpler way, to achieve items that are similar but not identical. The upholstered items are done in a single block of expanded polyurethane injected into a mould in which polyester wadding is spread and the bearing steel framework reinforced with straps is placed. The injected polyurethane fills the mould freely and spontaneously, forming an outline wherever it meets up with spaces in the back unit or the seat, thereby producing a slightly different shape each time. 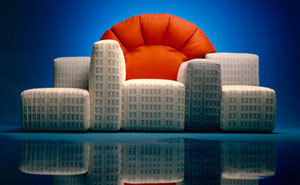 The Tramonto a New York sofa (1980) confirms the role of metaphor that Gaetano Pesce attributes to design. 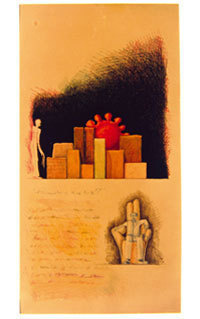 His items are means of expression rather than just objects. New York is in a phase of decadence, maybe approaching its sunset? Pesce explains this sensation through the shape and concept of his furniture. 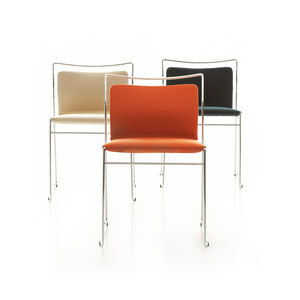 The Tramonto a New York sofa is made up of an assembly of various elements that act as seats, arms (the skyscraper blocks of New York) and the back (the red sun); these elements are held together by means of U-shaped metal bars. 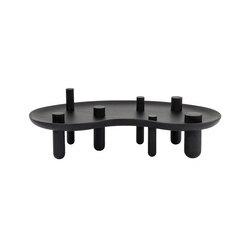 The bearing structure of the seating is made of multi-layered panels and a beech frame with straps, and a steel sprung framework with springs (the semi-circular part of the back). The upholstered parts are shaped polyurethane blocks. A polyester wadding is fitted over, topped by the final cover. The Sansone table (1980) is a further demonstration of Pesce's need for a form of mass production in which the numbers of a series are diversified. The table is in cast moulded polyester resin. The three versions availablec - almost rectangular, almost square and almost round - come in combinations of white, red and green, each piece different. "The future belongs to soft materials! Folded felt can provide anything you want, from cupboards to chairs. This is how I intend to make the furniture of the future." Research into new materials and new technologies is still Pesce's main interest. Mod. 357, Feltri, (1987) for example is done in thick, heavy felt stiffened with thermosetting resin, a treatment that guarantees great freedom of shape. The interiors are lined with quilting, removable and held in place by press-fasteners. 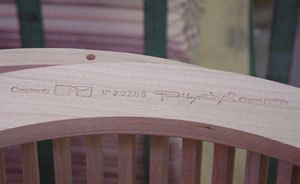 The seat is linked to the framework by stout cotton straps which also edge the sort upper part of the seat. There are encounters that lead to a long-lasting collaboration, and others that run out after the production of just one project, even if very successful. In the Cassina catalogue you can find furniture by designers that worked with the firm for a short time, or with projects that did not go on to generate prolific families, even if just the one-off item was appreciated and well-received by the public. Amongst these "only children" are Theodore Waddell's 713/714 tables (1973), the Oskar table by Isao Hosoe (1991), Andrea Branzi's Revers chair (1993), the Pagina bookcase by Jean Louis Berthet / Denis Vasset (1993). 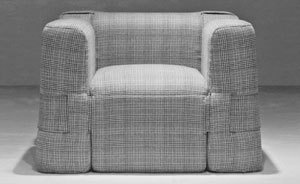 There is also one product designed by Francesco Binfaré who was director of the Cassina Research and Development Centre from 1969 to 1976: the sofa Grandangolo (1995-2000). Cassina introduced its Bed Collection in April 1994, a piece of furniture seen up then as more or less a development of an armchair or of already established sofas, with interesting results, such as Paolo Deganello's Torso bed, or the stacking beds designed by Vico Magistretti in 1964. The models of this collection, of different design and in different materials, present such a wide variety of type as to provide something for meet every need, of every style. 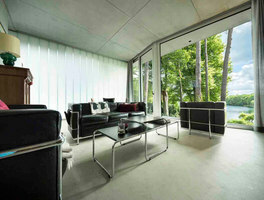 The products comprise a collection in the true sense of the term, seen as a coherent and complete system. The bed system is tackled and put on the market as an area of technological and formative research, wedding quality of design with performance, comfort and practicability. In the past ten years, as had already happened before, Cassina has established a relationship of privileged collaboration with certain designers, which has brought about interesting innovations regarding both shape and use. As always, Cassina has been active in an eclecticism giving room to contributors apparently very discordant amongst themselves. 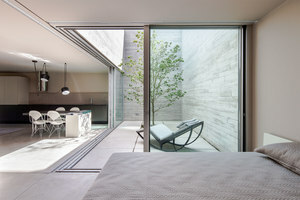 From the working relationship with Philippe Starck has come - as might well be expected - surprising results; the MISS C.O.C.O folding chair (1998), the fully "wired-up" L.W.S Lazy Working Sofa (1998), the bed/work-table S.W.B. 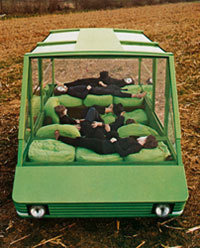 Sleepy Working Bed (1999), the audio-visual sofa M.I.S.S. 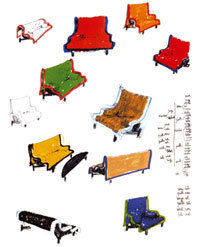 Music Image Sofa System (2002,2004), the sofa MISTER (2004). 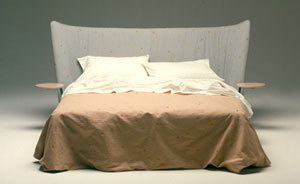 The most recent one is MISS YOU: presented on occasion of the 2005 Furniture Fair in Milan, this bed has the distinguishing ironic strength of a "Starck's project". 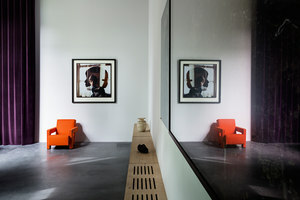 Piero Lissoni was entrusted with the fitting out of display areas and the design of numerous lines highly appreciated for their sober elegance, such as his Met sofa (1996), among Cassina's bestsellers, the Nest (1999) and Reef (2001) upholstered items, and the Flat container system (1999). Important, too, the re-reading of established lines - beds, tables, chairs, bookcases, armchairs and sofas - that Cassina entrusted to to the Spanish (of Argentinian origin) designer Jorge Pensi, the Swiss Hannes Wettstein, the German designers Markus Jehs + Jürgen Laub, and the Frenchmen Patrick Jouin and Jean-Marie Massaud and the Swiss Cuno Frommherz, designers of most recent products. In particular, Jean-Marie Massaud designed the sofas Aspen (2005), sophisticated and simple at a time, like the wave of a dune (or perhaps smooth as a rock), and the swivel armchair Auckland (2005), having a "swinging" shell fitted to a four-spoke base by means of a projecting strip. 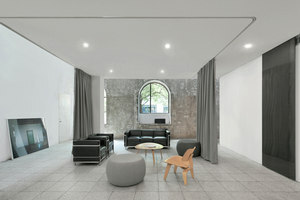 The sofas and the armchair were launched at the IMM 2005 Furniture Fair in Cologne. 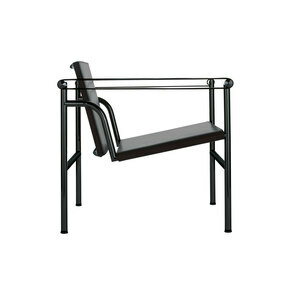 In 2004 the Cassina Masters collection was enriched by the addition of another protagonist, Charlotte Perriand (1903 - 1999), who worked in collaboration with Le Corbusier and Pierre Jeanneret, and without whom, perhaps, the chaise-longue, the siège tournant and fauteuil grand confort that Cassina has been producing for forty years would never have come about. Acknowledging her role as Master, Cassina pays homage to a great 20th century designer, with the pieces inserted in the collection dedicated to her (amongst which the Ventaglio tables, designed in 1972, and Ospite, of 1927) show without a shadow of doubt. This year's edition of DOWNTOWN DESIGN lays down the blueprint for the future of design fairs. The analysis of our daily users' behaviour gives us an insight into developments in the architecture and design markets, which we would like to share with our community. 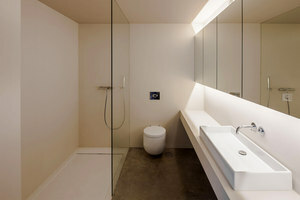 Konstantin Grcic is renowned for the precision, care, and formal rigour he brings to the design process. 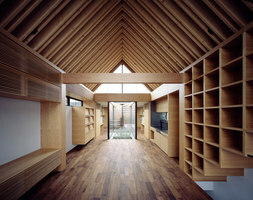 His work expresses, above all, simplicity and functionality. Jaime Hayon likes to tell stories. Decorative and playful, but in a subtle way, his work reflects his curiosity and joy, informed by an approach that might be described as somewhat whimsical. The Petit Palais offers a new perspective on the work of Charlotte Perriand (1903-1999), revealing for the first time the role of photography in her creative process, acting as both a source of inspiration and a constructive component of her works. 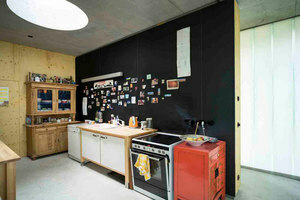 The Royal Institute of British Architects and Cassina present the exhibition "Le Corbusier’s Cabanon".